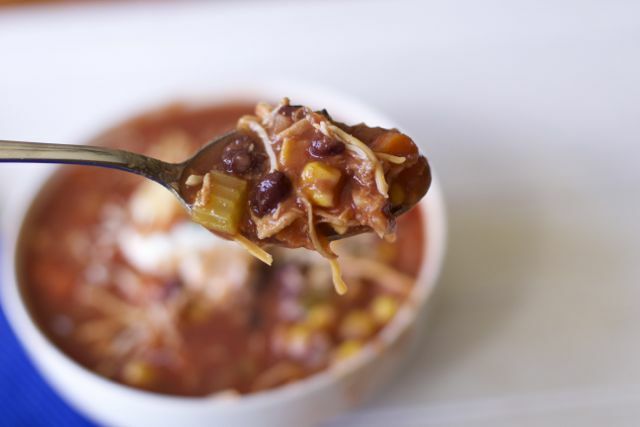 This is a repost of one of my favorite crock pot soup recipes. Hope you enjoy the new photos. 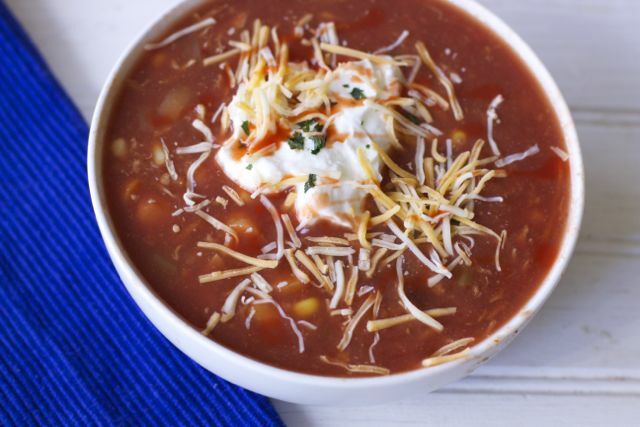 It is time to find some comfort and warmth in soup. 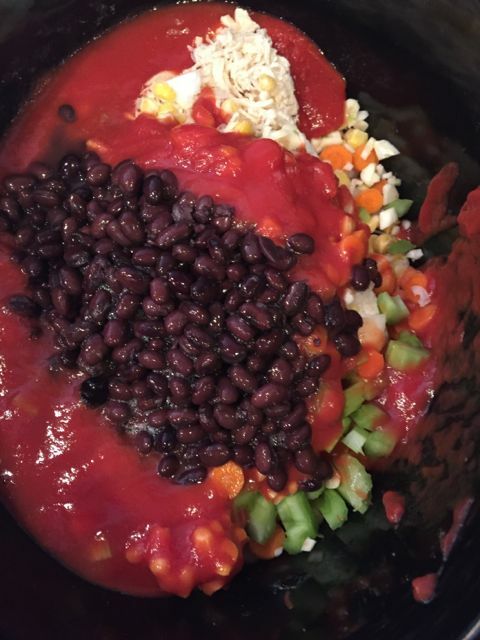 I love my crock pot when it comes to making soups and chilies as you can just dump and not think about it! 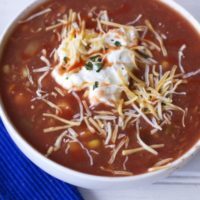 I adapted the recipe for Tortilla Soup from A Year of Slow Cooking. The one thing I did not like about this recipe is that the chicken had to be cooked. The night before when I had the grill on for dinner I just grilled up some chicken breasts along with what we were having. 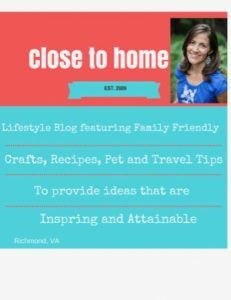 I guess this saved me time from having to pull apart the chicken before the guests arrived which would have been disastrous considering my email mishap:) It is also a great recipe to use frozen cooked chicken. One of my favorite food planning tips is if you are making chicken for a recipe, put a few extra breasts in the oven with just salt and pepper. When it is finished cooking, chop it or shred and place it in a freezer bag. You will have some great chicken waiting for you in the freezer. Items can be frozen if you have leftover cooked chicken etc in freezer. Cook on low for 8-10 hours, or high for 6 or so. Before serving, garnish as you choose. 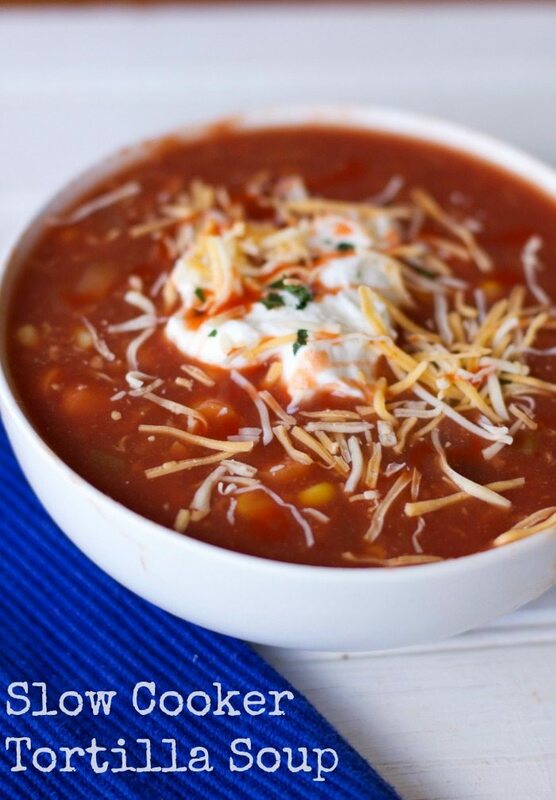 Look at all the goodness in this one bowl of soup. This repost is the 2nd time making this soup and thought it was pretty good but especially easy. What kind of soup do you like on a cold afternoon?? I love making homemade tortilla soup. I will have to try out your version! This looks sooo good. I think I need to break out my crock pot now. I love crock pot recipes! Thanks for posting. I really like Tortilla soup, but I haven’t taken the time to make it yet. Thanks for the inspiration. This recipe looks delicious! I love tortilla soup. I am always looking for crockpot recipes. This looks like one my husband will love!